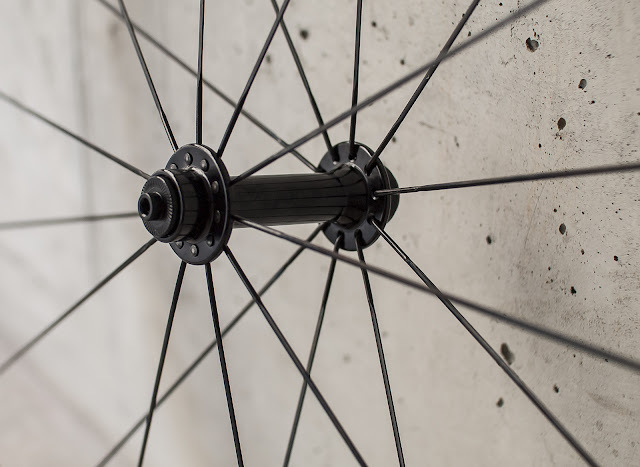 Technology of carbon rims manufacturing improved till the extend that overheating and delamination is not an issue anymore. Using proper rim tape, brake pads and proper braking technique those are safe even in high mountains. However, in rainy days the braking power is still a concern and therefore as of 2017 some of the manufacturers introduced rims with graphene brake track. 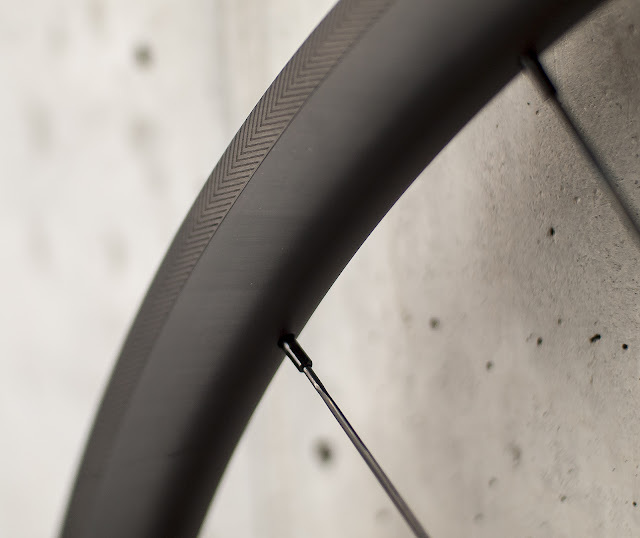 Specific brake surface pattern combined with graphene allows to improve braking in wet and keep the temperature under control during hot days and extensive braking. 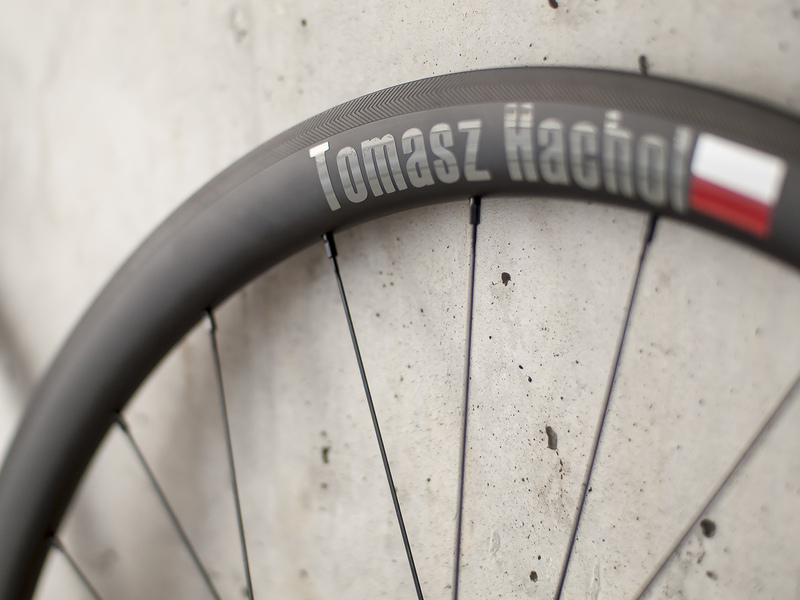 Modern rims made from T700/T800 and asymmetric profile allowed me to make a set of clinchers with total weight of 1400g. 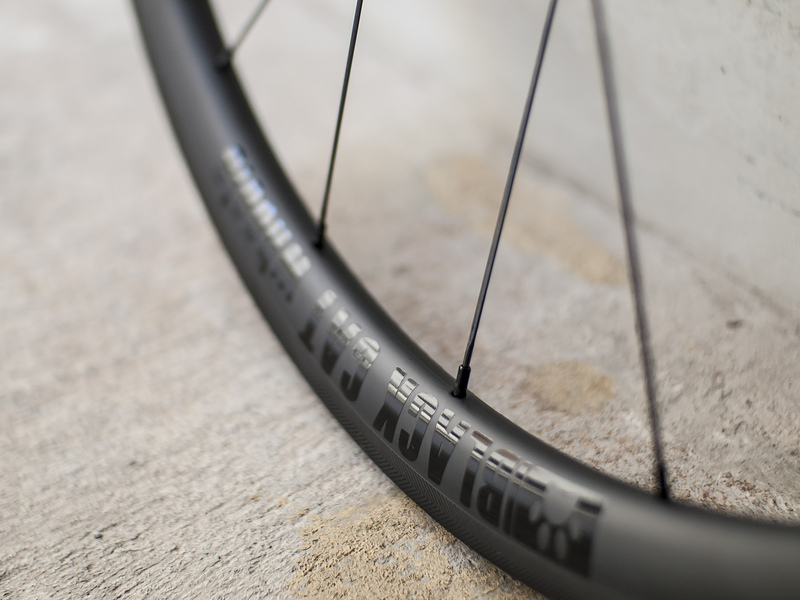 It's not a first time when I'm using different rim profile on front vs rear. For those who are looking for every day wheels for sun, rain and wind such combination should be worth to consider. For Tomasz I used 35mm front and 40mm rear. Rims are 20/24h, 17mm inner width, 26mm outer width and rear rim is asymmetric with almost 3mm offset. 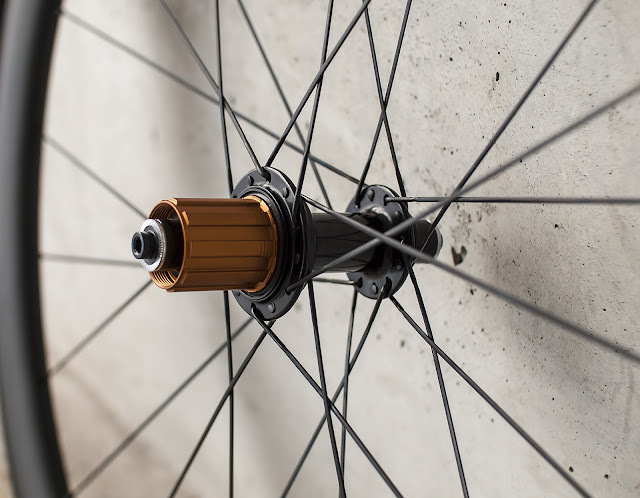 That is very useful feature as it allows to achieve higher tension of NDR spokes. Wheels are made with Bitex hubs. Light, strong and long lasting hubs. 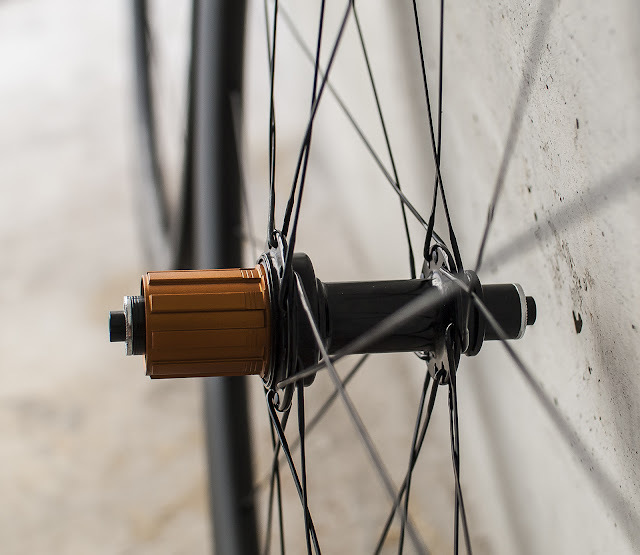 As usual I paid a lot of attention to bend the spokes properly so they lay on the hub in a right way. 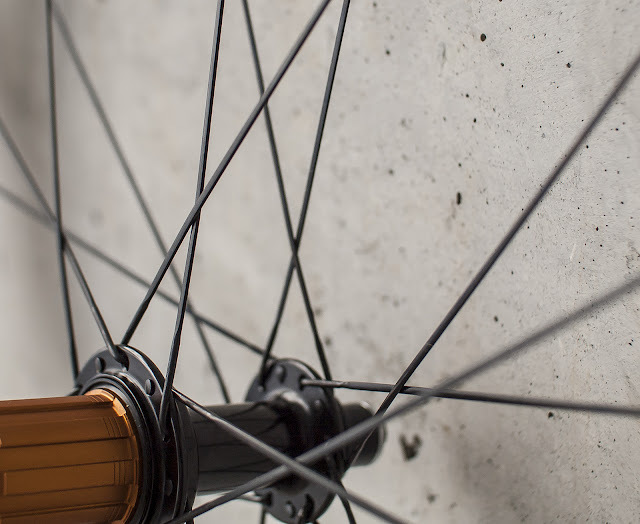 A small and invisible details - Stronger spokes on drive side. In this build I used Sapim CX-Ray on front and NDR rear and Sapim CX-Sprint on DR side to cope with weight and power generated by the rider. Wheels were customized using decals, as per new owner's wish. 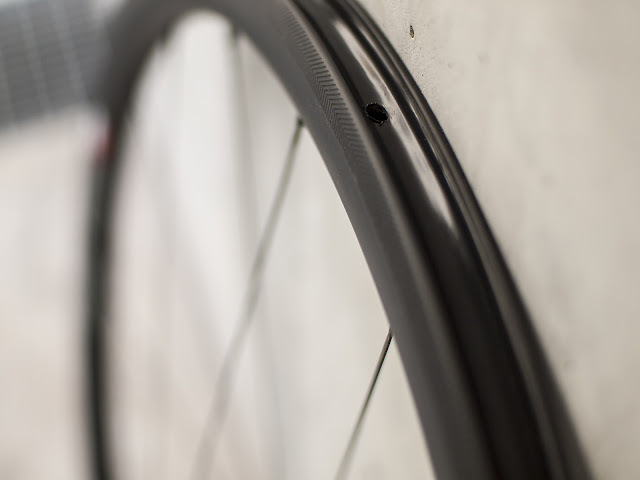 Two layers of tubeless tape allows to use standard inner tube or tubeless setup. 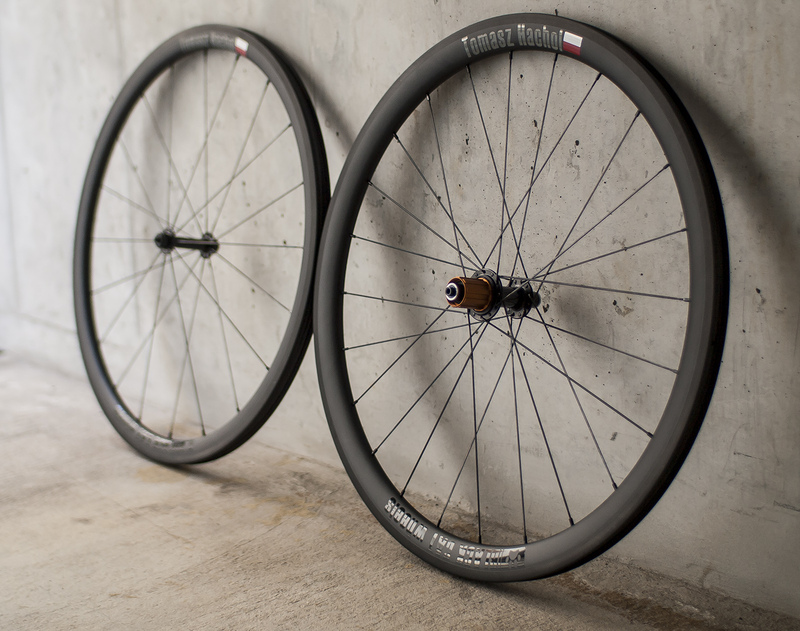 Wheels look beautiful and are delivered with brake pads and spare spokes. 1408g of total weight, 899 CHF for a whole set. Strong set suitable for 90kg rider. Wheels are available in my shop. Other configurations (different rim height, tubular or disc brake) options possible. @Tomasz enjoy your new hoops. Cross my fingers for your triathlons!